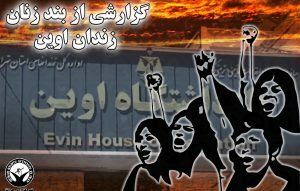 HRANA News Agency – Cutting out the warm water in women’s ward of Evin prisoners has started since one month ago. This lack of access is while health facilities is in its minimum level and caused health and hygienic problems. Women in this ward also suffer from lack of access to warm and cooling system. According to the report of Human Rights Activists News Agency (HRANA), currently 31 prisoners, mainly with political and security charges are imprisoned in women’s ward of Evin prison. An informed source explained to HRANA’s reporter, “last month, when it got warmer, heaters were turned off, and after that almost every day the warm water is being cut off”. This source continued, “every time it was said that it was a technical issue, but after this condition continued, prisoners sought the answer from prison personnel and finally realized that due to limitation in gasoline, fuel consumption in prison was limited”. This source emphasized at the end, “due to limitation of access to warm water in this ward, even though overall number of prisoners is not much, but they are facing health issues”.